Cancellation after full payment will incur a cancellation charge equivalent to the cost of one nights stay for the group. This is everything an urban hostel should be! Ultra clean, modern, bright, fun and friendly. YHA Wellington City is centrally located and ideal for everything that Wellington has to offer. There is an espresso bar on site, selling barista made coffee and a selection of cabinet food. Our $6 Breakfast special includes a bagel, cream cheese, jam and barista made coffee. 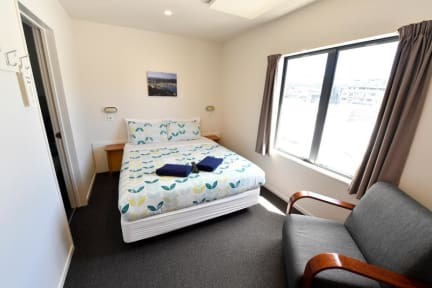 The hostel is within easy walking distance to the bars, shops and theatres on Courtenay Place and close to Te Papa Museum, the Waterfront and Embassy theatre. A wide range of comfortable accommodation is available, from our spacious and well appointed 4 and 6 share ensuite rooms to our deluxe private ensuite rooms. 2008 Winner of the Sustainable Business Network Trailblazer Award. 2007 Winner of the Sustainable Business Network Trailblazer Award. 2006 Winner of the Sustainable Business Network Trailblazer Award. This was my first hostel experience and it couldn't have been better!! The location was so central to EVERYTHING!! There is a large grocery store across the street, and fabulous kitchen and dining room facilities at the hostel for storing my food and preparing preparing my meals. The staff are all friendly and helpful and the accommodations comfortable and clean. I would highly recommend staying at the YHA in Wellington!! 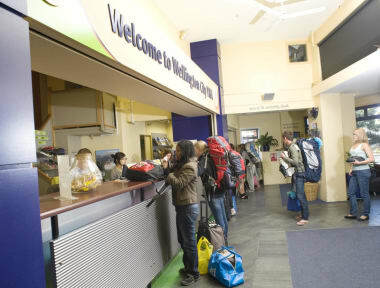 And I look forward to trying other YHA hostels in my future travels. Awesome hostel, I like that the shower was in the room, very convenient! Clean and seemingly well run. Close to anything you might need. Good wifi, nice atmosphere. I would like an outlet closer to the bed though! Beds are actually good mattresses which was really nice. Fabulous place to stay. Facilities, staff, location brilliant. Very popular so book well ahead. Good value for money as the location was great, the bathrooms were well sized and the rooms were very clean. Good place to crash for the night. Very helpful staff. Very big hostel, felt more like a hotel. Lots of groups of children on school trips stayed there, which meant noise levels increased quite a bit in communal areas. Big problem for me was that I was in the room when staff came to change bedding - they provided a fresh sheet and then just refolded the duvet and didn’t even touch the mattress cover! This definitely needs to be addressed. Fine for two nights, but wouldn’t want to stay for much longer. Stayed here for a night in a 4 bed dorm. I'm a solo traveller and I met people straight away. The hostel is in a good location and the shared spaces are clean and sociable. Really good kitchen facility with an oven, blender ect. My only qualm was that mine and a friend's wine was stolen from the fridge but the staff did check cctv, so no complaints. Decent hostel but very big and slightly overwhelming!